Christmas decorating has been slow this year. The craziness of work and etsy orders has meant that most of my nights are just spent trying to quiet my brain and crocheting while devouring some series on Netflix. But as always, Luna and Loki are willing to help mommy. One of my birthday gifts this year was a new tree skirt because my mother was slightly horrified to learn I was using the same remnant piece of velvet that had been under my “baby” tree when I was a toddler. When she gave me the tree skirt, she asked me if I wanted a light colored one because of the cats and how much they would be attracted to it. 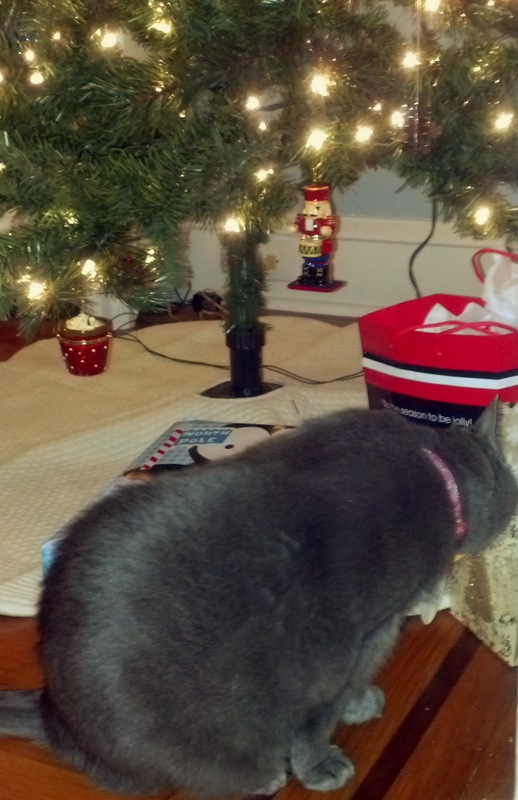 Because my cats have an obsession with sitting on anything that is fabric. Table cloth = cat bed. Painting drop cloth = cat bed. Towel on floor waiting to go in washing machine = cat bed. You get the point. So with in about .5 seconds, she was proven right. 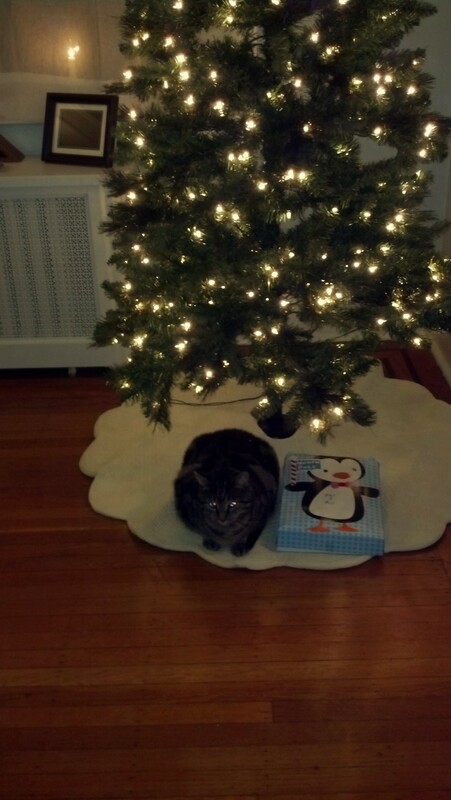 And tonight, Luna tried figuring out whether there was a present for her under the tree. I hope I’ll get to finish putting ornaments on the tree this weekend as I’m finishing up my second to last etsy order for the Christmas season. Then it’s just the crocheting for family and friends which I have a little bit more time to do. I’m stressed that I’m behind with where I’d like to be, but with every decoration I put up, it feels a little bit more peaceful. So what is stressing you out most this holiday season? Next postfeline friday gets vacation!